Case file: CEM-MAN-2011-07-30 – I met up with members of the NJGHS to investigate the Mansfield or Washington Cemetery, NJ. 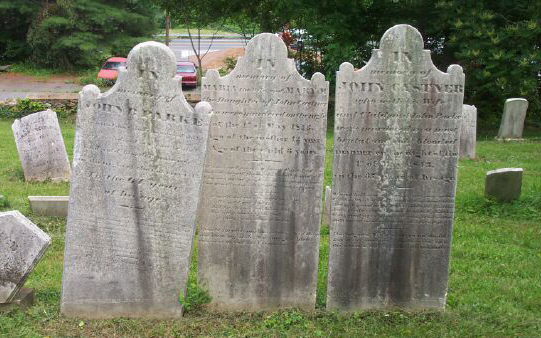 I was eager to see if my team would have any experiences surrounding the tombstones of John, Maria and Maria Matilda Castner who were murdered on May 2, 1843 in their home. Their story became known as the Changewater Murders. Jasmine, Jimmy, Dave and I found our way to where the family rests and set up several pieces of equipment. A night vision camcorder was placed facing the tombstones with the nearby store lights shinning from behind. We also left a digital recorder to see if we captured any voices or unusual sounds while we investigated the rest of the cemetery. Starting the evening at the location of the Castner family, we started to ask questions about their lives and the day they were murdered. Shortly after this experience, one of the digital recorders picked up a woman humming.